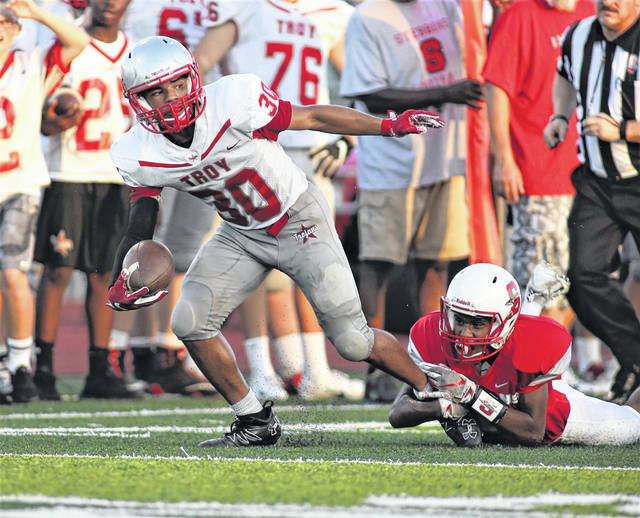 Lee Woolery | Troy Daily News Troy receiver Caillou Monroe burns the Stebbins defense for a long gain Friday. Lee Woolery | Troy Daily News Troy receiver Shane Shoop (30) tries to break free from a Stebbins defender Friday. Lee Woolery | Troy Daily News Troy receiver Weston Smith heads upfield Friday against Stebbins. RIVERSIDE — On a night in which it seemed as though just about every snap was worthy of the highlight reel for the Troy football team, one play stood out among the rest. Late in the second quarter, on third-and-8 from the Troy 45, Trojan quarterback Brayden Siler dropped back to pass. With plenty of time to throw the ball, he found receiver Caillou Monroe splitting the seam, then hit the wide-open receiver in stride. Monroe caught the ball and easily sprinted into the end zone for the score. 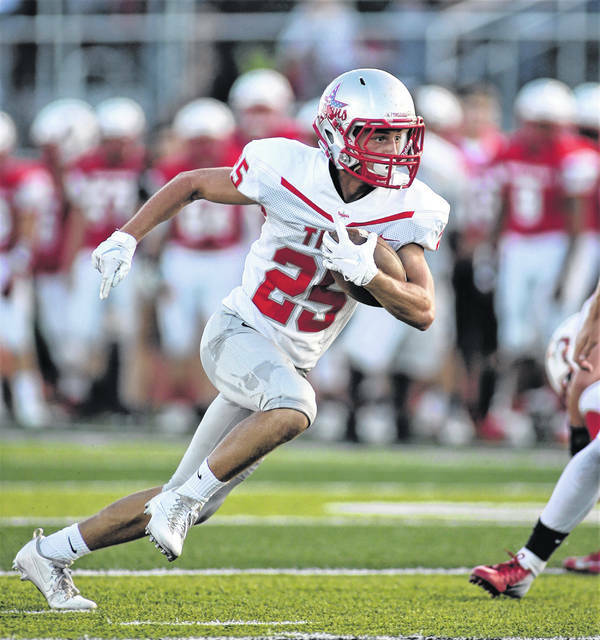 Of course, on a night in which Troy beat Stebbins 62-0 — and truthfully, it probably could have been worse than that — plays such as that were routine. What was it about this play that made it stand out from the rest? Was it the pinpoint pass of Siler? Not particularly, as Siler completed 13-of-16 passes Friday and was pretty much on the mark all night long. Was it the fact a Troy receiver broke free from the defense and was running all by himself? Nope. Siler completed passes to eight different receivers in just two quarters worth of work — so that wasn’t particularly novel, either. How about the protection from offensive linemen Jesse Westmeyer, Nate Garber, Marshall Brueckman, Jakob Moorman and Riley Hubbard? They were spectacular on that play, but they were spectacular on every play Friday. Siler was never sacked and rarely pressured against the Indians. What made that one play so spectacular didn’t involve a throw, catch, block or even physical contact. As Monroe was streaking toward the end zone, there was but only player on the field who could catch him. Troy running back Jaydon Culp-Bishop, who had been trailing Monroe by a few yards on the play, closed the gap, ran alongside his friend and looked back over their shoulders, just in case any Stebbins defenders happened to be closing in on them. Culp-Bishop finished his night with, unofficially, seven carries for 162 yards on three touchdowns — all impressive numbers, of course, but probably only a fraction of what Culp-Bishop probably could have done against a Stebbins defense that may have given a tremendous effort, but simply was overmatched physically. Had Culp-Bishop received his customary 20-25 carries Friday, it doesn’t seem a stretch to think he could have piled up 300, or possibly even 400, yards. He could have put himself in some pretty elite company in the Troy record books alongside names like Bob Ferguson, Gordon Bell and Ryan Brewer. But perhaps with an eye on the defenses Troy may face the remainder of the season, the Trojan coaching staff decided to get the team some passing game reps against live competition. 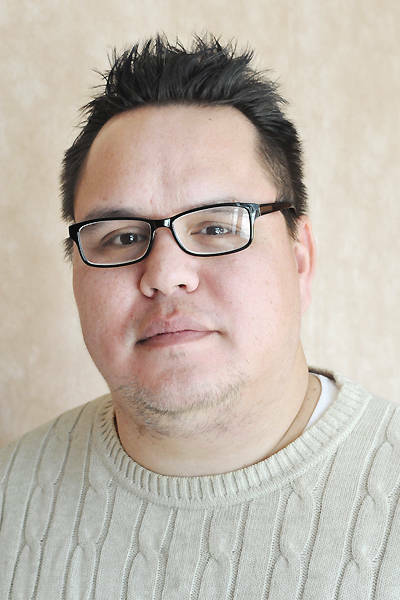 Culp-Bishop accepted that, embraced it and did his part to help make his team better. He was just looking to throw a block. And through the first four games of the season, that’s pretty much been the hallmark for the undefeated Trojans. That Troy had tremendous talent entering the season hardly was a secret — the Trojans were returning a host of returning starters from a team that has captured back-to-back conference titles and been to to the playoffs the past two years — but with talent often comes egos. And so the biggest question surrounding Troy instead became whether or not the Trojans would be able to sublimate those egos and put the needs of the team ahead of the needs of the individuals. That, too, will be the question as Troy hosts undefeated Division I foe Miamisburg this week — in a game that most certainly will draw tremendous attention throughout the Dayton area — and then follows that up with five Greater Western Ohio Conference North Division games. So far, so good. Through four games, the Trojans seem dialed in on what they hope to accomplish as a team. Anyone who has spent any time around the team can see or hear that. Ask Siler about his performance and he’ll quickly mention his offensive line and his receivers. Ask standout linebacker Sam Jackson about averaging 16 tackles per game, and he’ll talk about how the defensive line eats up blockers in front of him and how the defensive backfield keeps things locked down behind him, allowing him to roam free and make plays. And any Trojan about how they are doing and you’ll almost certainly get an answer that involves someone other than the person to whom you asked the question. If Troy can maintain that sort of attitude the final six games of the season (and possibly beyond), pretty special things are likely to happen. How far this Troy team goes should largely depend on the Trojans themselves. As the game ended Friday and the Trojans were making their way back to the lockerroom to change and get on the buses, Monroe and Culp-Bishop were walking off the turf side-by-side, laughing and joking as they celebrated Troy’s latest win. Together again, to the bitter end. 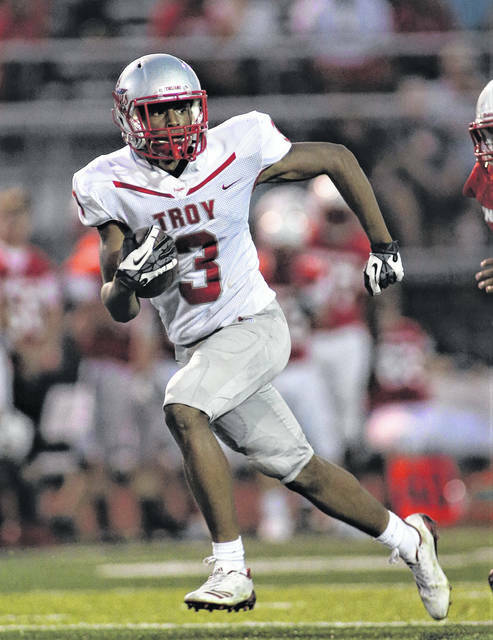 https://www.tdn-net.com/wp-content/uploads/sites/21/2018/09/web1_091418lw_troy_cailloumonroe-3.jpgLee Woolery | Troy Daily News Troy receiver Caillou Monroe burns the Stebbins defense for a long gain Friday. https://www.tdn-net.com/wp-content/uploads/sites/21/2018/09/web1_091418lw_troy_jacobshoop-3.jpgLee Woolery | Troy Daily News Troy receiver Shane Shoop (30) tries to break free from a Stebbins defender Friday. https://www.tdn-net.com/wp-content/uploads/sites/21/2018/09/web1_091418lw_troy_westonsmith-3.jpgLee Woolery | Troy Daily News Troy receiver Weston Smith heads upfield Friday against Stebbins.